Only 5 days till Christmas!! Do you have your dress yet? You might be able to still order your dress and overnight it if you hurry. 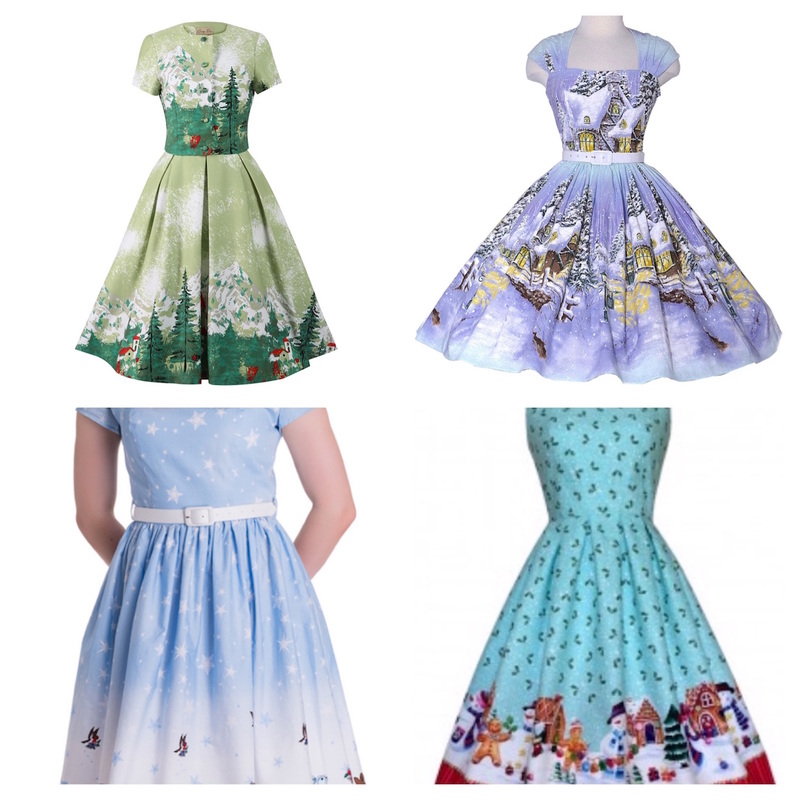 Here are 4 of my favorite novelty print Christmas pinup dresses for 2015. I’d say you can wear at least two of these through the winter season and they are the top left one which is made by Lindybop and also comes in a skirt version and the bottom left which is made by Hell Bunny. The top right is by Bernie Dexter and can be bought at Pinup Girl Clothing the lower right is the Holiday Dress by Pigtails and Pirates. I would love to see what you are wearing for Christmas, you can contact me via my blog Contact page, or on social media I am @craz4me hope to hear from you all.